A landing page is the first page that a potential customer sees after clicking on your Pay Per Click ad in the search engine. 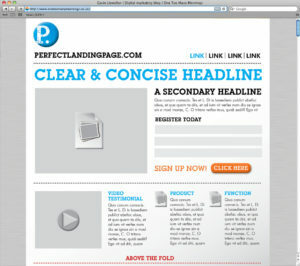 It's where a potential customer "lands" on your site. ... My custom landing pages are optimized for specific keyword phrases as well as audiences and contain a prominent call to action.